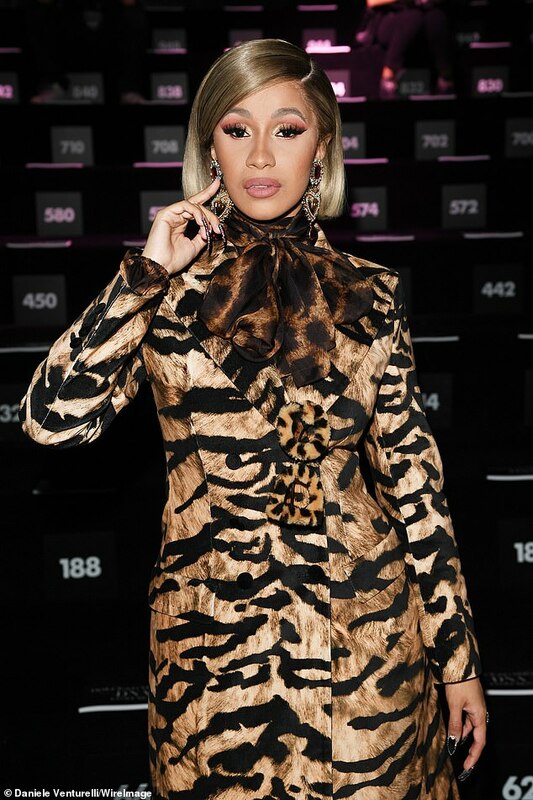 Cardi B steps out in complete head to toe Tiger print outfit..
Cardi's outfit is so confusing. First you see a tiger print,then you look art her shoes and you see a leopard print. 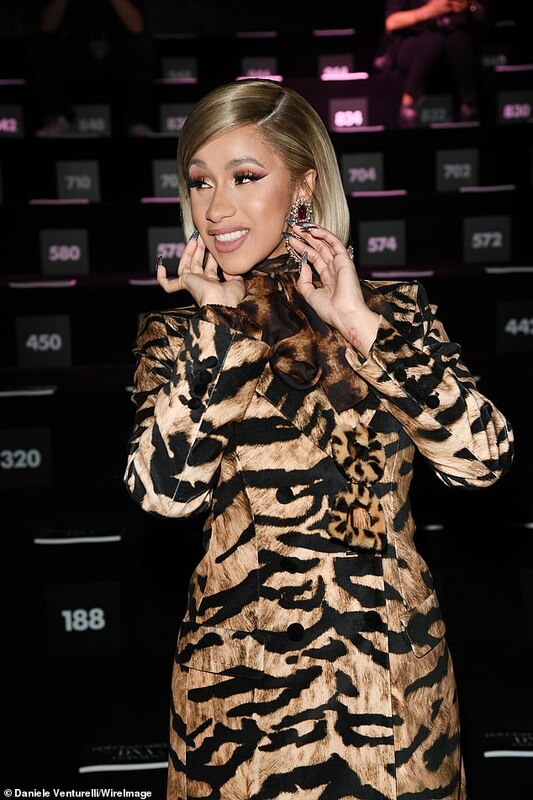 Lets just say Cardi had some big cat inspiration(Tigers,ligers,leopards e.t.c) as she stepped out for the Dolce & Gabanna MFW show in Milan on Sunday. 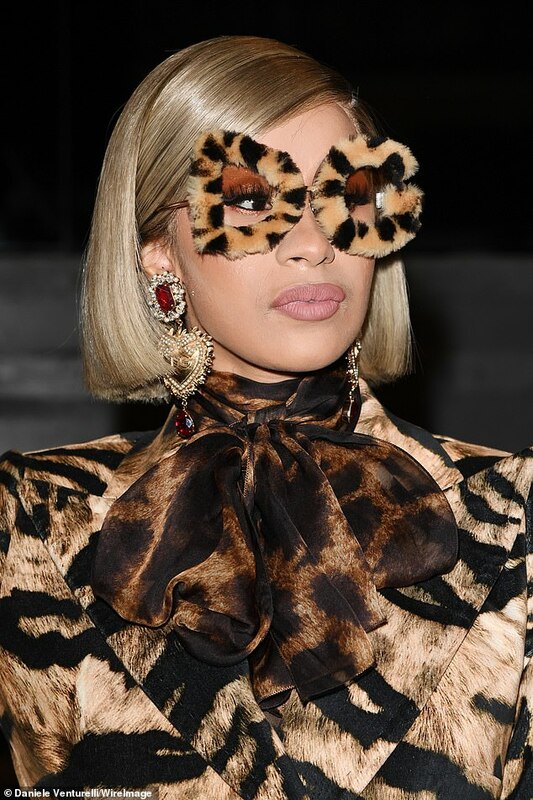 And she sure made a statement in this outfit,even her shades had furry animal prints attached to them..
Daring,but then again Its Cardi B you cant really expect anything regular!